: Non- Smoking: Yes- NO SMOKING! Damage Deposit will be forfeited if there are signs that the smoke- free policy has been violated. : WIFI: Yes fast WIFI, for $25 per stay. 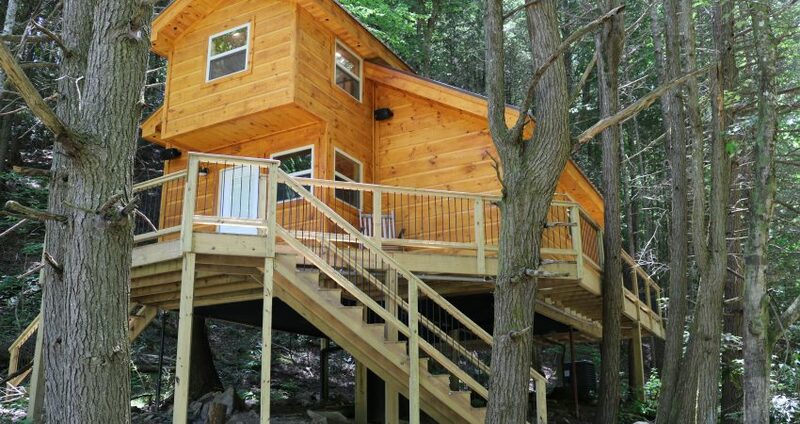 THE TREE HOUSE is a 2 bedroom, 1 bathroom luxury cabin located just off trail # 7. The large porch overlooks the creek. Features include a 50” HD Flat screen TV in the living room with a sound bar, DVD player, satellite TV with over 250 channels and Pay Per View. It includes an outside sound system. 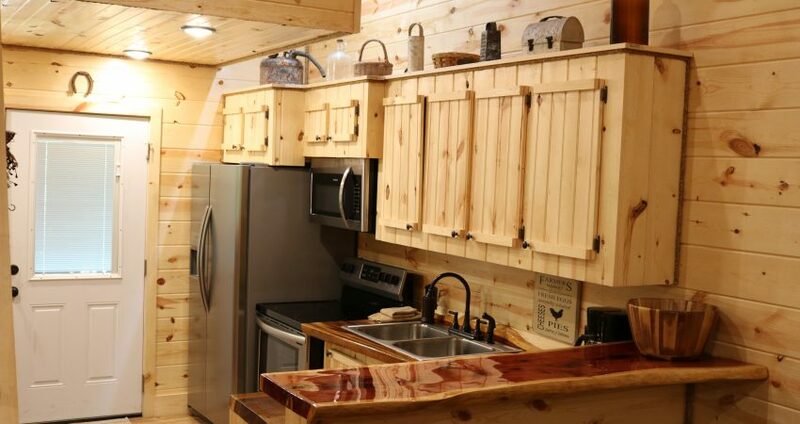 There is a full sized, fully-equipped kitchen featuring microwave, dishwasher, stove, and coffeemaker. 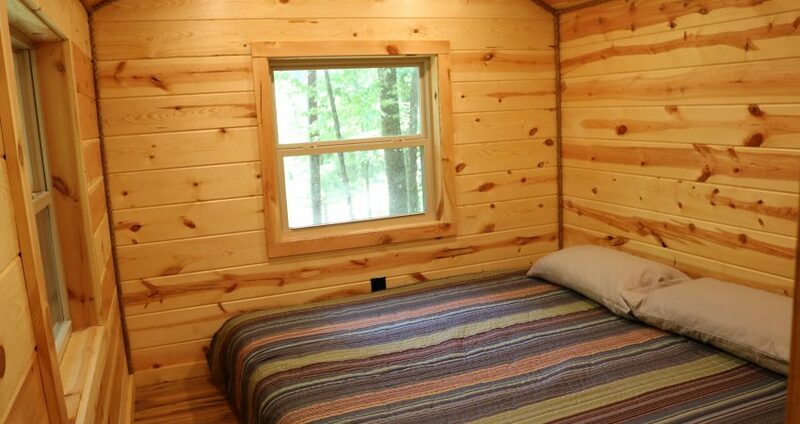 In one of the enclosed bedrooms there are 2 twin beds. 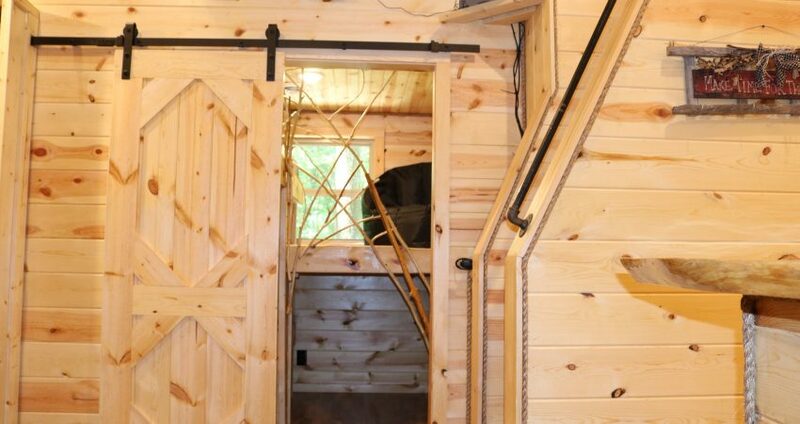 There is also a master bedroom in the loft with 1 king bed accessible by steep steps. The living room has a foldout sleeper sofa. 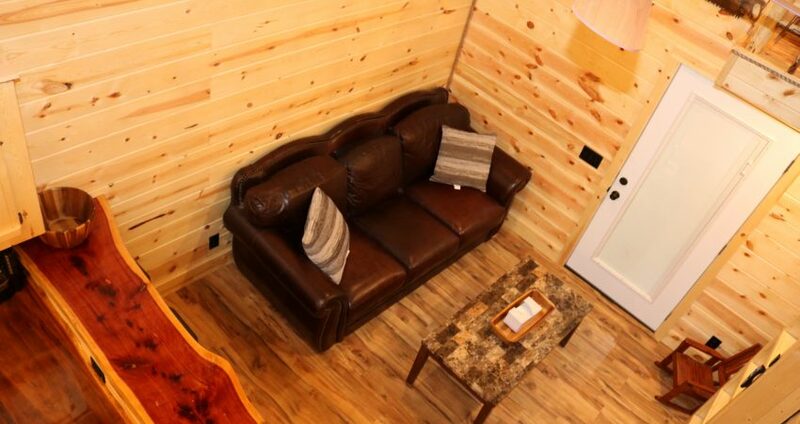 There is also a twin bed in the open loft area accessible by a narrow tunnel (only suitable for young children). On the deck, there’s rustic deck furniture. No Smoking, Please. There is an additional fee of $25.00 per night per extra person. There is a $50 cleaning fee per stay. WIFI can be purchased for $25 for the entire stay. If is fast, unlimited WIFI. There is a $300 security deposit that will be held on your credit card pending determination that upon departure the renter has left the cabin in the same condition as it was upon arrival, it will be released within a couple days of your departure. There is no cell phone service at this location, but there is a phone for local calls. With the WIFI package, you are also able to use iMessage on your iPhone. 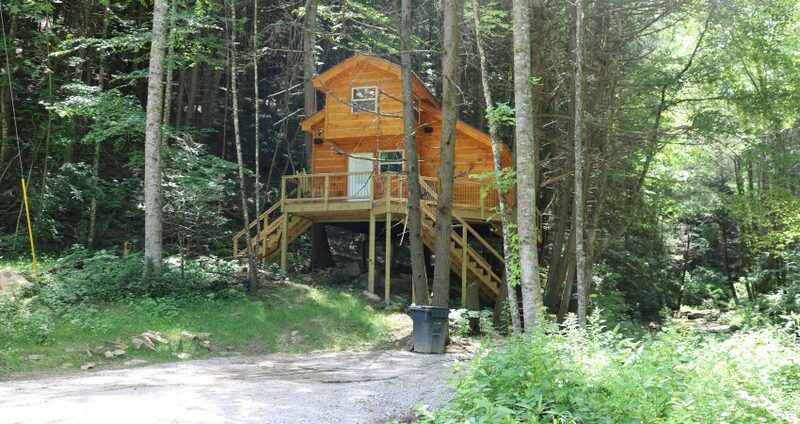 Please visit Cabin Rental Guidelines Page or FAQ’s Page and review our cancellation policy before booking.